THANK YOU you for even considering being a supporter of my work! I produce usually two free podcasts per month, and sometimes more. I pour approximately 10+ hours of my passion and time into each episode. Your support would encourage my efforts, but also help with hosting fees, cost of software and equipment, and other expenses for various services required to produce a quality podcast. 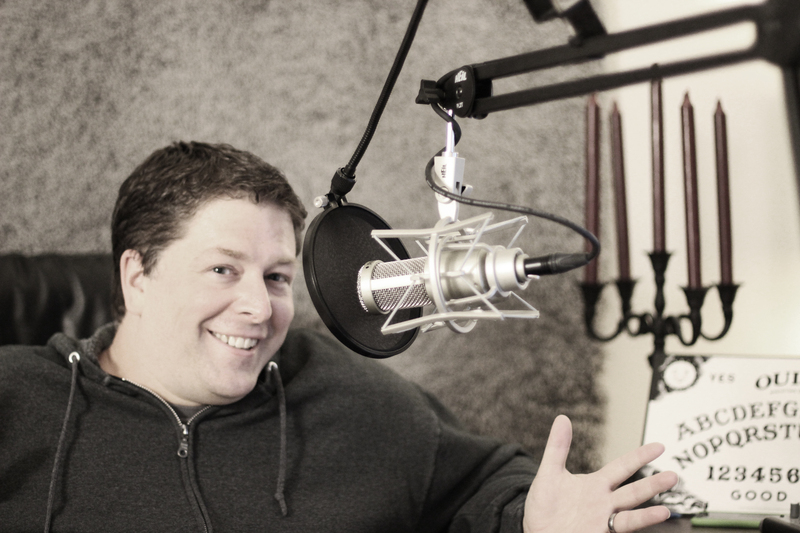 Patrick Keller is an educator, blogger and the host of the Big Séance Podcast, which is a forum for “paranerds” to have an open dialogue about all things paranormal. He has been a featured podcaster on Coast to Coast AM with George Noory. Some of Patrick’s notable guests have included Chip Coffey, Loyd Auerbach, Amy Bruni, Adam Berry, Rosemary Ellen Guiley, Troy Taylor, Guy Lyon Playfair, Karen A. Dahlman, and one of the world’s most investigated and celebrated mystifiers, Uri Geller. The Big Séance Podcast is an ongoing conversation with cutting-edge leaders and experts who explore all things paranormal, but specifically topics like ghosts and hauntings, paranormal research, spirit communication, psychics and mediums, and life after death. The candles are already lit, so come on in and join the séance! For more on Patrick and the Big Séance Podcast, visit BigSeance.com. Get exclusive bonus video and/or audio posts with my thoughts on episodes, behind the scenes, request for suggestions, etc. Get your name mentioned with other Super Paranerd supporters at the end of every episode! Plus, get the $1 benefits, like exclusive bonus video and/or audio posts with my thoughts on episodes, behind the scenes, request for suggestions, etc. Get your name and/or website* added to list of other Parlor Guest Supporters at BigSeance.com. Plus, get the $2 benefit of your name mentioned with other Super Paranerd supporters at the end of every episode! My first goal would be for the podcast to simply sustain itself monthly. The cost of hosting, domains, and other online services used regularly to produce the podcast total approximately $40.85 per month.